From sharing photos to sharing your thoughts, just about anything you do and think can be published through social media. 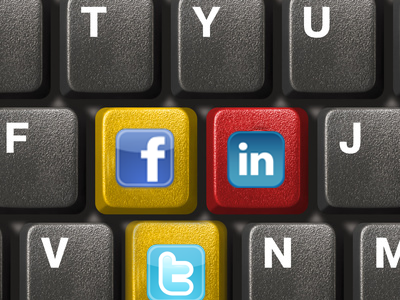 Social media has also proved its uses as a tool and resource in the job search process. Job seekers everywhere are being told of the benefits of expanding their networks and building an online presence. LinkedIn is just the surface. Social media sites are communities without limits therefore sticking to certain websites or groups puts you at a huge disadvantage. Becoming noticeably proactive online can be very intimidating or very exciting depending on your approach. 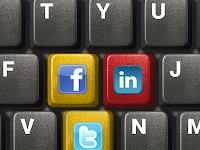 Social media is meant to serve as the balance between casual and formal. Imagine the atmosphere of a corporate board meeting except everyone in it is wearing jeans and a t-shirt. The first thing you should do when you want to get your social job search going is to spread the word. Make it known with your Facebook friends, LinkedIn connections, and Twitter followers that you're after a job. The beauty of sharing on social media is that now people will think of you when they hear of new opportunities and pass on the information to you. You may find it odd to start using Facebook for more than just personal reasons, but it's actually much more versatile than the average user might think. Earlier this year, Facebook topped one billion active users, according to reports. This makes Facebook a gold mine of connections that may hold the key to your next job opportunity. Keeping in mind that it's often about who you know rather than what you know, it's best to get to acquainted with as many people as possible. Even though you'll want to extend your Facebook reach, keep your profile private for security reasons. Since you, like most people, use your Facebook profile for primarily for personal use, keep hiring managers from seeing a picture of you in an unprofessional light. Adjust your privacy settings appropriately and maintain the separation between work and play. The point of being on several social networks is to connect with different groups separately. This is not to say that you shouldn't be doing a bit of research of your own. Find information about hiring managers on LinkedIn and Twitter, but try to stay away from connecting with them on Facebook as that pushes the boundaries of being invasive. You want to find out about their professional backgrounds such as where they went to college, where they've worked, etc. Keep your investigation relevant to the job search. No one wants to hear from a stranger that they liked a picture of you on your family vacation. Facebook lists are a great feature for this purpose. It allows you to still have professional contacts without being afraid of posting personal updates. You can do this by going to your Account, then Friends and creating a new list where you'll be able to customize your settings to control who sees what. Incorporating your LinkedIn and Twitter handles on resumes and email signatures is now the norm. Along with providing your email address and phone number, these links give the hiring manager other options of reaching you. It also allows them to see you beyond the paper. Online networking can feel like a lot of work but done right, it can also be a fun experience. People have been using online services for years now to meet dates, sell items, and find a job. With social media, finding a job is no longer limited to job boards and classifieds. The job search is more personal and allows for making real connections with real people. As 2013 approaches, there's no better time to sign on, plug in, and reach out. Those red and green squiggly lines. You know what I'm talking about, the spell and grammar checkers in your Word document. Be honest, your first draft of something probably resembles Christmas lights more than it does a professional document. While that's typical of a first drafts, when you've gotten to your third edit and it's still riddled with those Christmas colors, your resume will look just as tacky as having your lights up after the holidays. When applying for a job your resume is meant to respresent you in the most appealing light. Grammatical errors and typos can make a major negative impact on your chances of landing an interview. Even the most qualified candidate will be passed over for someone with a well-composed resume. Common mistakes like accidentally inverting a letter can be hard to detect when you've been typing and reading for a while. Your eyes will tend to skim rather than carefully read so the spell check feature will help pick these errors out. It's important to give your eyes a break before your final resume read to pick out grammatical and contextual mistakes with fresh eyes. The way your resume is formatted also effects how it's read. Formatting isn't hard to do, but improperly doing so is easy. 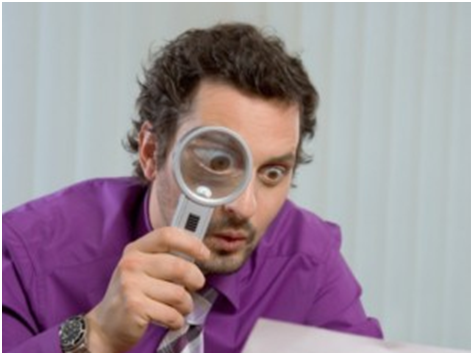 No hiring manager is going to take a second look at trying to decipher an unorganized resume. Avoid blocks of text or going from numbers to bullet points. Make things easy to see. Formatting ideas can be found through a variety of online resources so find one that best suits you and your industry. 3) Understand me, can you? As a jedi master, Yoda probably didn't have to worry about grammar or resumes. For the rest of us on the other hand, making clear sense is a must if we want to find a job. When in doubt about whether something is grammatically correct, there is a fool-proof test to check if it is: does it makes sense? If your writing doesn't even make sense to you, it obviously won't for anyone else. Expand your vocabulary with a thesaurus so as not to sound repetitive. Always, always read your resume aloud. Candidates are books judged by their cover letters and resumes. A resume is you on paper, so how do you look? In the same way that you spend time in front of a mirror making yourself presentable, your should be doing the same with your resume. A clean resume will clear the way for you to get a noticed by a hiring manager. Don't mess up your chances with a messy resume.